Coca Cola’s Open Happiness song, launched as a single earlier this year, was also produced as a music video. Music for the video, launched in July 2009, was written and produced by Butch Walker with Cee-lo Green, remixed by Polow Da Do. 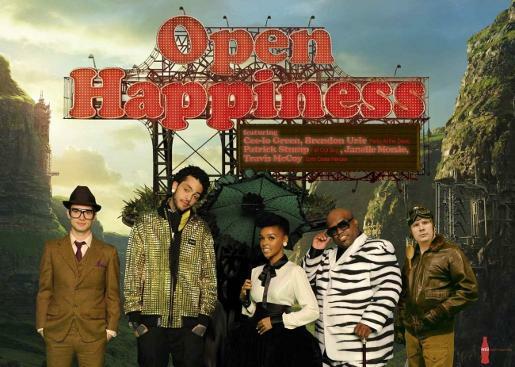 The music video, available online at openhappiness.tv and Facebook, features Cee-Lo from Gnarls Barkley, Patrick Stump from Fall Out Boy as a helicopter pilot, Brendon Urie from Panic at the Disco as a reporter, Travis McCoy from Gym Class Heroes, and Janelle Manae. Open Happiness has been recorded by Nancy Ajram in Arabic, “Eftah Tefrah”, in Cantonese by Joey Yung, and was recorded for the Singapore market by Derrick Hoh and Jocie Guo. Open Happiness was recorded in China by Wang Leehom, reaching the top of several popular music charts there.